Angels who want you to feel happy and fulfilled are currently present in your life. 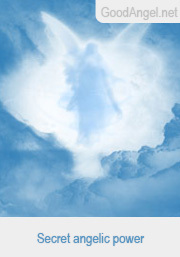 These angels try to help you in difficult situations and cheer you up when troubles appear. 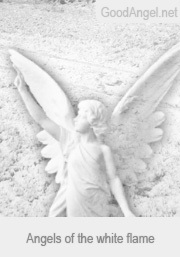 Their angelic force cannot be clearly defined, but it has pure intentions towards you. This card means that everything depends on you and you alone, so if you want to change your life, you cannot just rely on angelic support or help from family and friends - everyone has to take responsibility for their own actions. In addition, this card also implies that some interesting developments, which you are currently unaware of, will happen in the future. If you are single, the presence of Archangel Michael will fill you with courage to find new love. He prevents you from feeling fear that can stop you from getting to know a partner. For people already in a relationship, this archangel helps to open hearts towards better understanding between partners. He helps to prevent all conflicts and arguments, too. The presence of the angels of the white flame means that you may have had some financial problems recently. 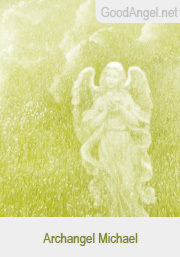 The angels are a great help to you because they try to stop you from thinking negative thoughts. 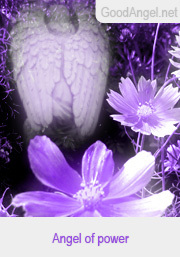 The angels of the white flame open up your mind, helping you find your way to wealth and eliminate any financial debts. You may currently be feeling some concerns about your health, but this is completely unnecessary - the presence of the angel of power means that you just have to believe in your inner strength and power, and you will be able to fight against any illness. This angel is trying to remind you that you can never give up and you should trust God's guidance - God is the greatest doctor.